WOW! 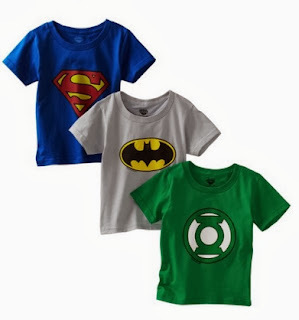 What a great on Funpals Justice League 3-Pack Shirts (Boys 2-7) by Fruit of the Loom! Right now you can get them for $6.99. These are a perfect Christmas gift of any Justice League fan! Plus it is eligible for FREE shipping on orders over $25. A Batman, Superman and Green Lantern tee shirt is included in this super hero three-pack from Fruit of the Loom.